August 13-17, 9:00am – 11:30am at Ebenezer CRC in Jarvis. All Children ages 4-11 welcome. Groups will be in Grades JK, SK, 1, 2, 3, 4. 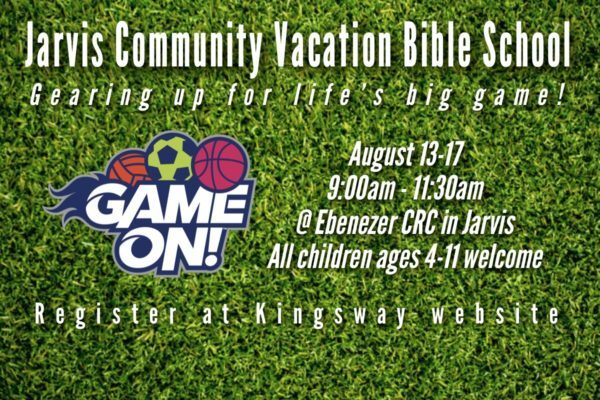 Register online now by CLICKING HERE or pickup a form at Jarvis Post Office or Library and drop it off at the Ebenezer Church office. VBS Closing: Open Church Service @ Jarvis Lion’s Park, August 19th, 10:00am.